I'm still in awe. The other blogs nominated are just amazing. I started Paperback Thrones less than a year ago and it's been a journey and a half. At times I've thought about giving it up, or had extreme blogger's block, but I've kept up with it and I'm so happy I have. My nomination has given me such a feeling of validation. It's given me my own corner of the internet -- a place to write about whatever I want when I want to. A place I'm free to experiment with, and also constantly edit (my favourite feature!) There's still so much I need to learn about blogging etc, but also so much I've learnt already. I'm definitely planning on keeping it up for a long while. PS I would really love it if you voted for me! Voting closes on September 29th! What else has happened this week? I've been . . . It's like a super sweet Steve Zissou. Ewe know it. This Atlantic article about Richard Linklater's Boyhood is really interesting. Imran Siddequee notes that "it’s... difficult to imagine [protagonist] Mason living in the same country as Oscar Grant, the subject of one of last year’s best reviewed films, Fruitvale Station. " Linklater pretty much completely leaves race out of his encapsulation of American youth, except for the Mum's encounter with her Mexican gardener which is just a little cringey/preachy. I watched Spike Lee's Do The Right Thing the other day. It's such an amazing thought-provoking piece of cinema that closely analyses racial tensions and the fatal dangers of violence. Mason's boyhood is a world away from the boyhood of Lee's Brooklyn-ites. It's a very white world. 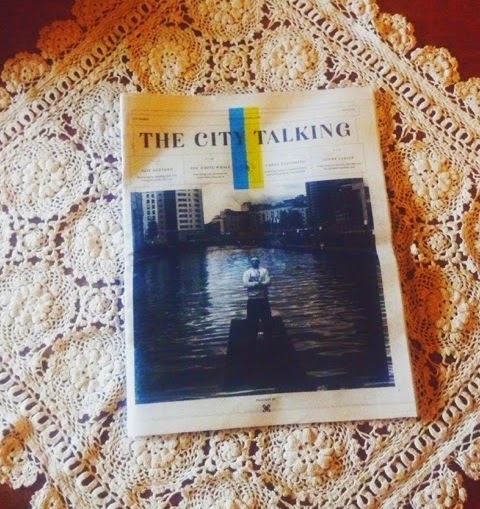 Reading: The City Talking is a newspaper about Leeds, for Leeds, and distributed in Leeds. 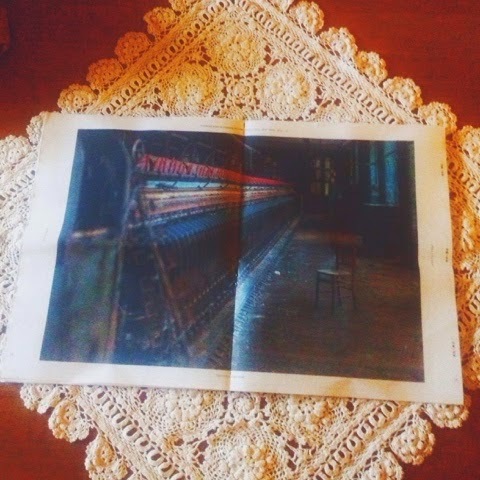 Starting this week, once a month it will be available with the Yorkshire Evening Post. 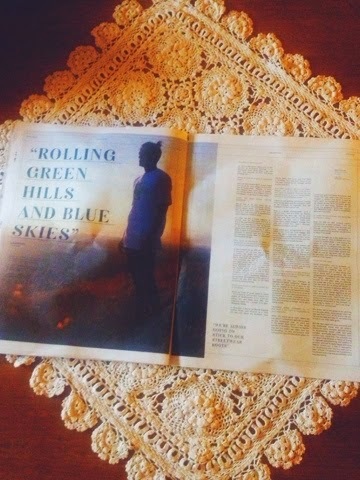 I love small publications like these! It's also super cool to find out more about my soon-to-be city as I get more acquainted with it. I like that it's starting a conversation among young people in the North, as well as documenting Leeds' bid for Capital of Culture 2023 by interviewing West Yorkshire creatives. Watching: This week I watched Get On Up. 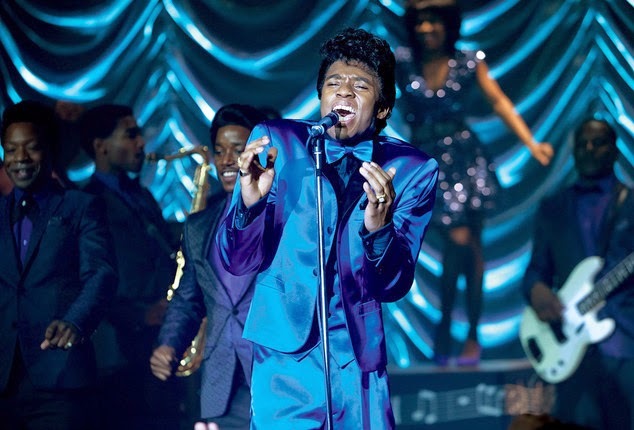 It's the Tate Taylor directed & Mick Jagger produced James Brown biopic. Chad Bosewick is enchanting as the Godfather of Soul, pearly white gnashers gleaming with charisma. Brown's multiple identities intersect in this one-man show; he stares into the camera, conversing with the viewer, as he changes from a child living in the lynched-lined woods of South Carolina, to a convict, to a member of the The Famous Flames with long-time pal Bobby Byrd, to a solo musician selling out the Apollo and recording a smash-hit album simultaneously, to a husband, to a father, and all the while as a man in conflict with his ego. It reminds me a little of I'm Not There in its mosaic view of a superstar. The film ends with a montage of the many walks of Browns life, repeating his name over and over again like a religious chant. In this way then, Brown's human faults - his temper, his arrogance, his spells in prison - fall by the wayside, eclipsed by his icon-like status. I found the film insightful and amusing, although at times a little lacklustre due to attempting to squash 70 odd years of a man's life into two hours of film. The film seemed to lack a real sense of depth. James Brown's true personality evading the camera's eye. Despite this, Chad Bosewick gives an Oscar worthy performance and if you're a fan of the funk, Get On Up's definitely worth a watch. Listening to: This week my playlist has involved a lot of Miss Lauryn Hill. I have tickets to see her on Thursday in Manchester and I'm psyched about it -- just need to find someone to go with! Any takers? I've also been listening to Slum Village. They're playing at the Belgrave in Leeds next Monday with a J.Dilla exhibition before the show. Can't wait! 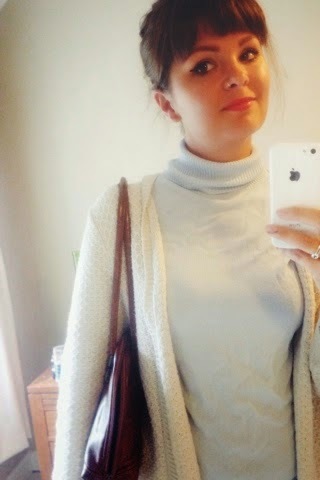 Wearing: Charity shop finds! 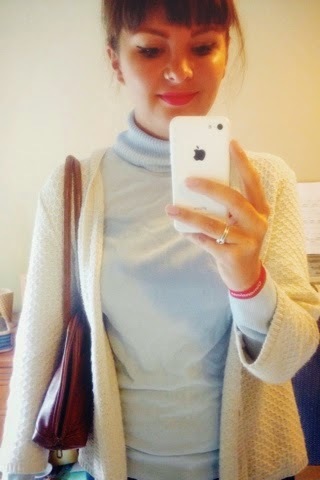 The turtleneck, cardigan and bag were all bought for something crazy cheap like 8 quid from Herriot Hospice Homecare in Northallerton. I luv cheap clothes.